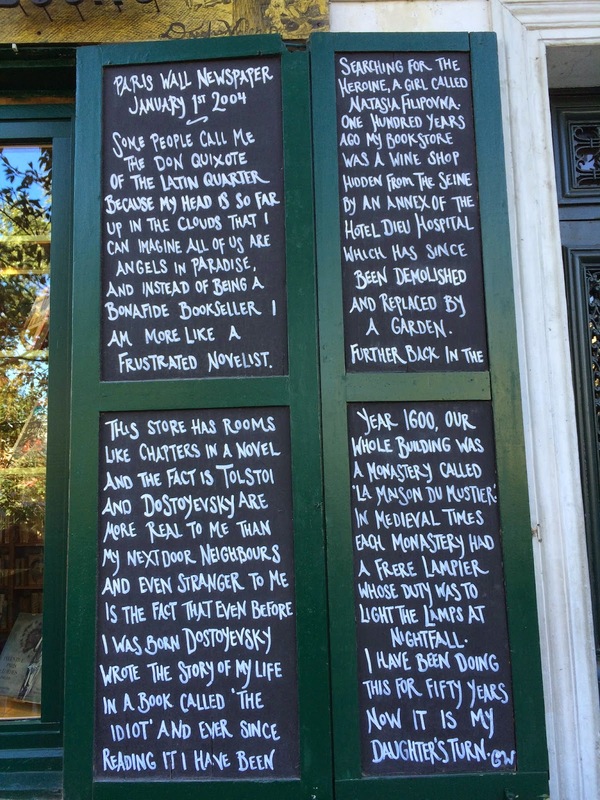 There have been many bookshops marking all the pages of my life from childhood onwards. There was Mr Oxley's in Alresford, there was the first ever Hammicks, there were all the bookshops of Hay, there was James Thin in Edinburgh, the Libreria Aqua in Venice - each has a special place in my heart. But the one I love most is in Paris. 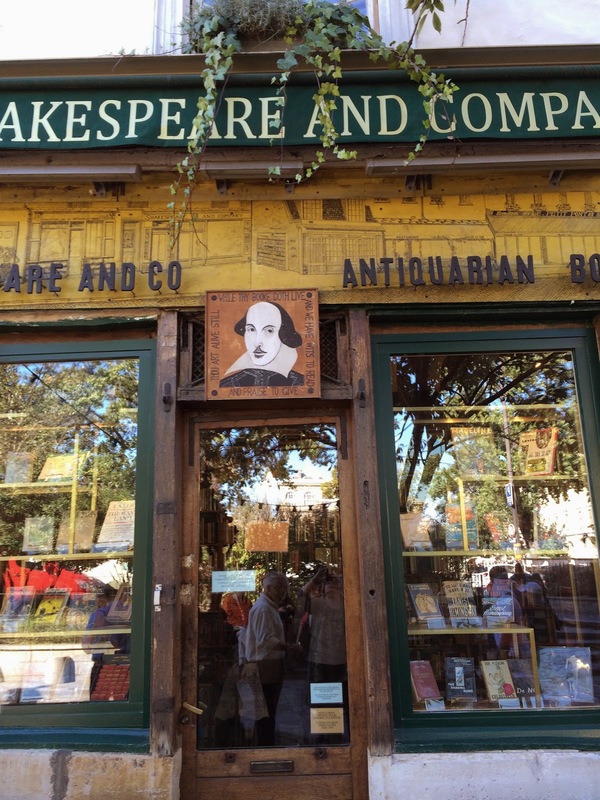 Shakespeare and Company sits across from the Seine, on a street slightly aslant from the Quai St Michel, and I loved it the moment I first walked into it in 1981. In those days (and probably still), you could work there for a bed in one of the book-lined upstairs rooms. 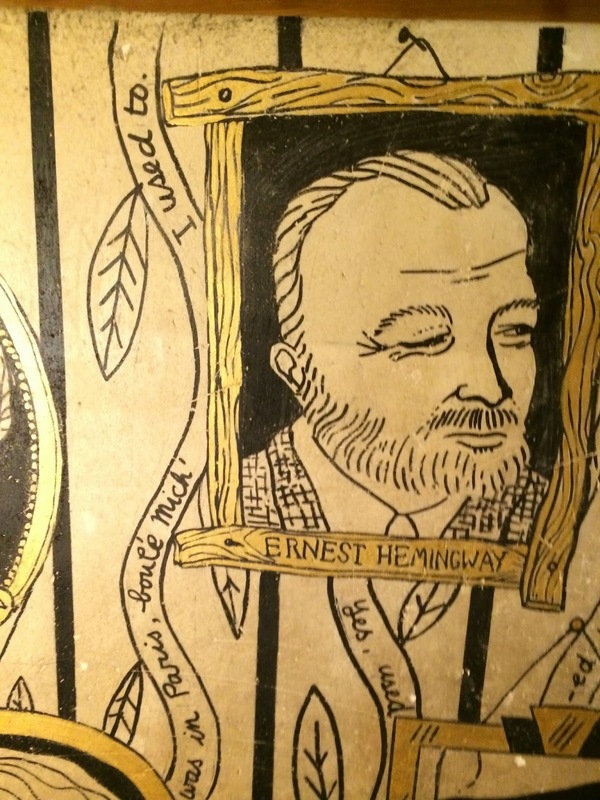 I did for a while, and it was a place of companionship, laughter, and above all, a shared love of books. 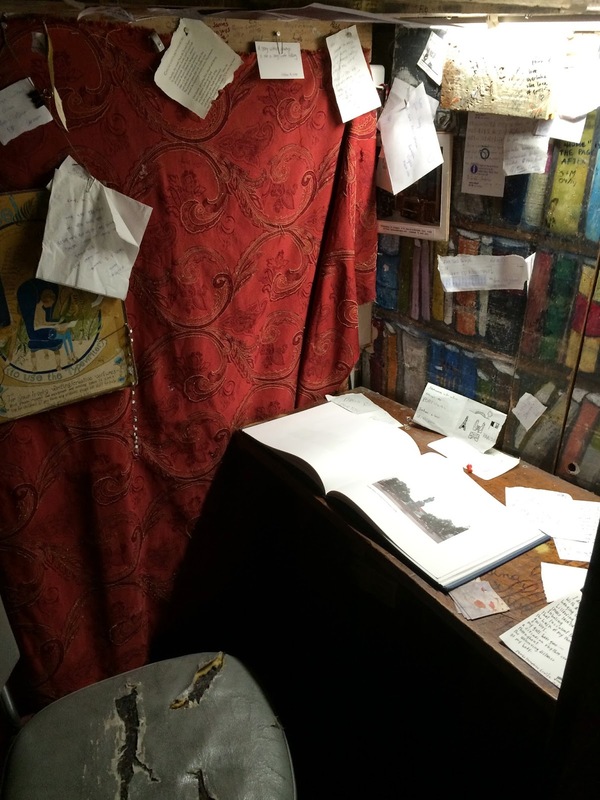 It is, quite literally, a treasure trove, a mish-mash of the new, the secondhand and the simply arcane and archaic. 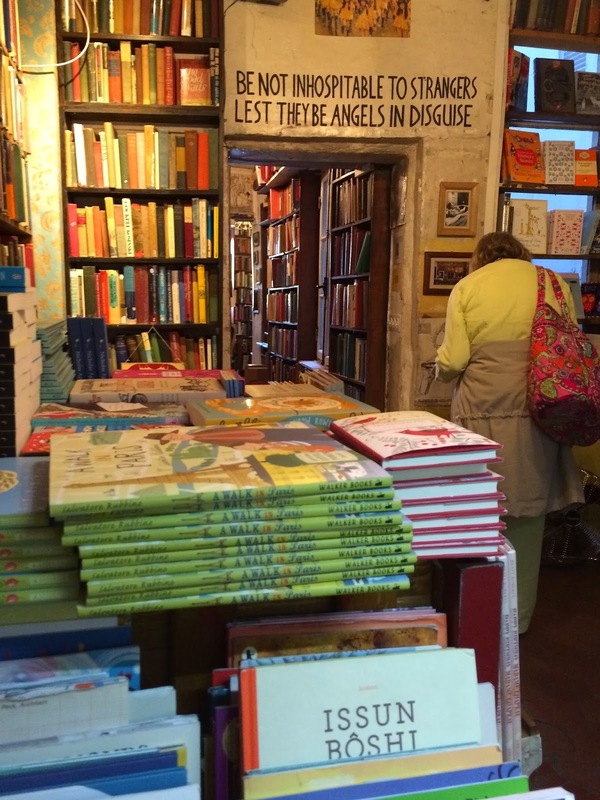 I went back there today with my children, and they were immediately lured in and entranced by the smell of dusty paper, the feeling that the perfect book must be just around the next corner, or just out of reach up that wooden ladder. For all that it is much more of a tourist destination nowadays, the old magic is still there. It has that indefinable Narnia feel which makes you believe that somewhere in there is a door or doors to another world. There are, of course, because that's what books are - but surely somewhere there's a tiny key, or a bookspine to rub which will take you somewhere else entirely. There is a wonderful children's and YA section, where I was happy to see many of my lovely author friends featured (though sadly not me), and an invitingly padded alcove just perfect for a child to curl up on and read one of the pile of picture books which leans against the wall. If you go to Paris, do try to make time to go there - and may you be as transported with delight as I have always been...(and take note of my favourite quote above)! Captain Beastlie's Pirate Party is now out from Nosy Crow! This sounds wonderful! 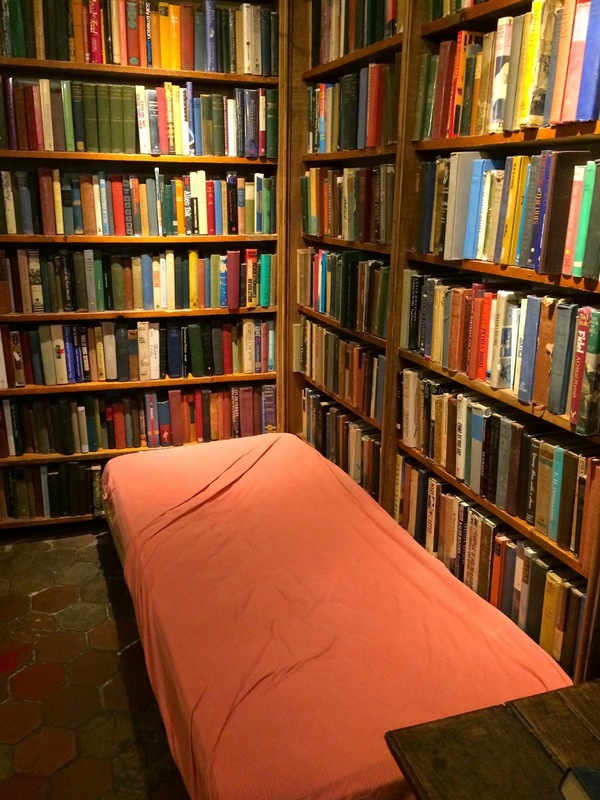 I love the idea of working in the bookshop for a bed. ... and the pictures are so enticing!